Cold frames protect your crops from the cold weather and frost of autumn. You can extend the growing season several months with cold frames and enjoy fresh veggies long after your outdoor garden crops are gone. 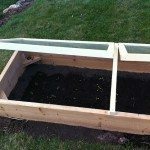 Read on for more information on fall gardening in a cold frame, as well as tips on constructing cold frames for fall. Autumn cold frames work like greenhouses, sheltering and insulating tender plants from chilly weather, breezes and frost. But, unlike greenhouses, cold frames for fall are easy to construct yourself. 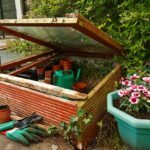 A cold frame is a simple structure. It isn’t “walk-in” like a greenhouse, and its sides are solid. This makes it easier to build. Like a greenhouse, it uses the energy of the sun to create a warm microclimate in a chilly garden, a place where crops can thrive as the weather turns cold. When you extend the growing season with cold frames, you can grow fresh greens or bright flowers well past frost. And autumn is the perfect time to allow cold frames and frost to coexist. But keep in mind that some plants grow better in cold frames than others. Those that work the best are low-growing, cool-season plants like lettuce, radishes and scallions. Expect a cold frame to extend your growing season up to three months. The attraction of fall gardening in a cold frame starts with a longer growing season, but that isn’t all. If you install cold frames for fall, you can overwinter tender plants that won’t make it on their own through winter. And the same autumn cold frames can serve in late winter to start seeds before the last frost. 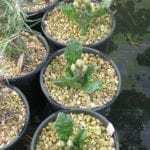 You can also harden off young seedlings in a cold frame. When you decide to extend the growing season with cold frames, you first must purchase or build a frame or two. You’ll find innumerable varieties available in commerce, but it’s cheaper and more ecological to make your own from materials around your house. Think of these garden-helpers as bottomless containers with removable glass lids. You can use leftover lumber to construct the four walls of a large container, then build a “lid” from old windows. The glass on the top lets sunshine enter and heat up the space. On very hot days, you’ll need to prop it open so your crops don’t cook. On cold days, keep it closed and let solar power keep your autumn crops happy and healthy. Read more articles about Greenhouses.